In this simple tutorial, we will teach you how you can create a very trendy and creative typographic styled poster using Adobe Photoshop. You can also apply the steps below to design typography brochures and booklet covers to give your designs a clean modern look. Let us show you the step by step procedures in creating your own trendy typographic poster art here. Just follow the steps below. 1. Initially, it is important to setup your new poster document properly. With Adobe Photoshop open, press CTRL+N to create a new document. Set your poster dimensions according to your needs (width and height) as well as the resolution (300ppi recommended). If you are printing this in a four color printer use CMYK for the color mode. 2. Great, now first paste in an image. The subject or features in the image are irrelevant. What is important is that it has the base color themes that you want to work with. In this example we are using a desert sunset picture. 3. Next, we adjust its brightness and contrast a bit to make the image more interesting. 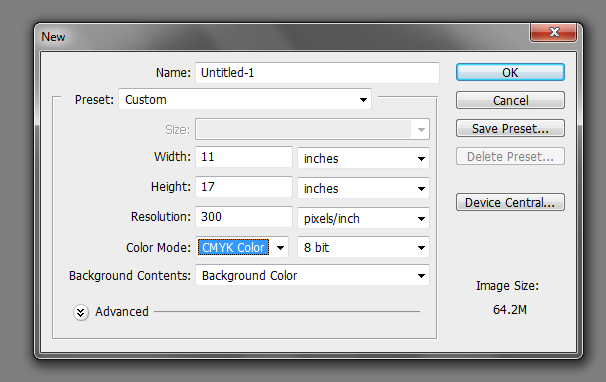 With the image layer selected, go to Image -> Adjustments -> Brightness/Contrast. Boost the brightness a bit to get more colors. 4. Next, go to Filter -> Blur -> Gaussian Blur. Boost the radius pixels to a high of around 125. This helps blend in the different colors and tones. 5. Afterwards, we paste in a texture image. The one we pasted here comes from bittbox here (http://www.flickr.com/photos/31124107@N00/2178394885/in/pool-381819@N23/). 6. With this texture layer selected, press CTRL+SHIFT+U to desaturate it. Then change its blend mode to Soft light. Afterwards, change its blend mode to “Soft Light”. 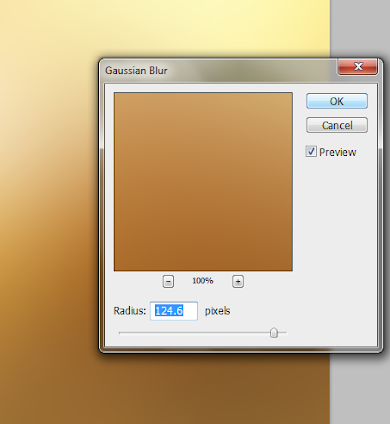 This will help merge the texture with our color background creatively. 7. 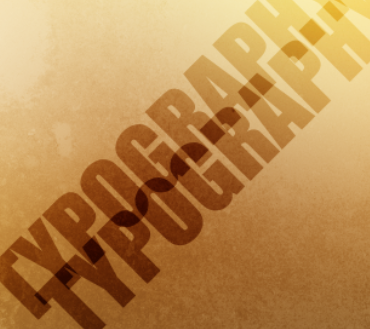 Now, just type in one of the main words for your typography poster. Use a very thick and large font style so that it is easily visible. Remember as well that you can use the character panel to adjust the size, spacing, tracking and many other different attributes to your text. 8. Now, rotate our text 45 degrees. You can do this by moving your mouse near the edge of the text box outline and then clicking/holding the mouse to the direction of the rotation. To make constrain the rotation to 15 degree increments, hold down the shift key as you do this. 9. Next, change the blend mode of this text layer to “soft light” so that you see it blended more creatively with our texture and the color. 10. Now, here is a nice quick duplication trick. Click on the Move tool in the tools panel. With the text layer selected hold down the ALT key. You will see your cursor change into a black cursor with a white cursor partner. Once you click and drag your mouse over the text, you will duplicate our text. 11. We moved the duplicate to the top are where parts of it fall of the canvass. 12. Now just continue on copying the same text title (or write addition titles) and then placing them at a 45 degree (or -45 degree) angle onto the poster design. Try varying the font size if you wish. Also take note that you can press CTRL+T on the layer and flip the text copies horizontally. Vertically to get some design variations. 13. Also take note that you can change the opacity levels of some of your text so that you can emphasize other text positions more than others. 14. After playing around with text sizes, angles and opacities, you should have something like this. 15. As a final step, duplicate the original text layer we created to make it more prominent. Just press CTRL+J on the layer. You now have a simple but trendy typographic style poster design.